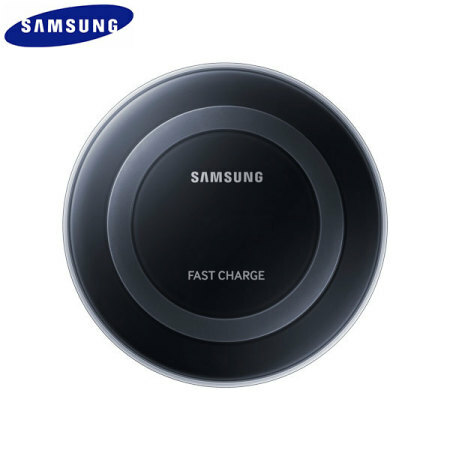 Wirelessly charge your Galaxy Note5 and S6 Edge+ with Wireless Fast Charge technology using this official Samsung Qi Wireless Charging Pad in black, featuring intelligent circuit protection. 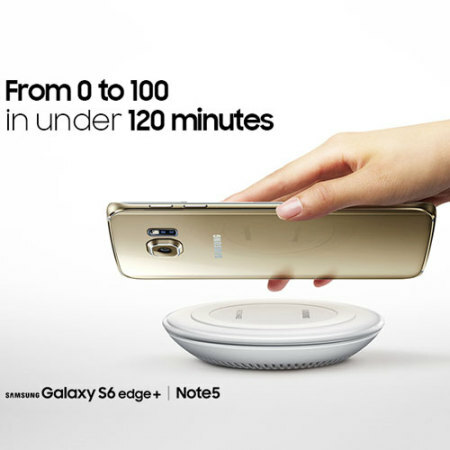 Using the latest Wireless Fast Charge technology, Samsung's Galaxy S6 Edge+ and Note5 smartphones can charge wirelessly far quicker than previous smartphones. 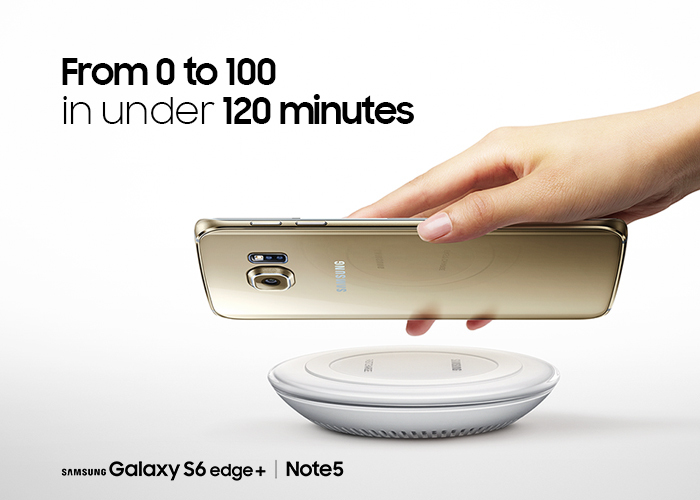 Using fast wireless charging technologies, you can recharge your Note5 or S6 Edge+ fully in just two hours. 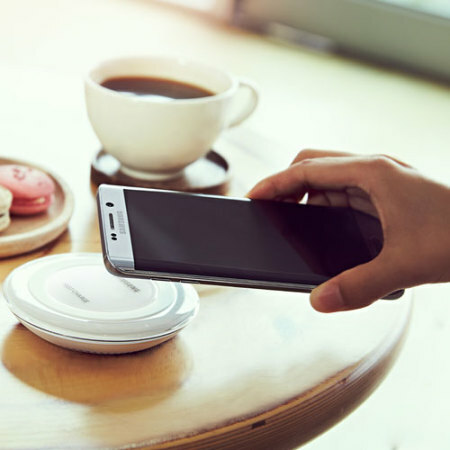 The Samsung Qi Wireless Charging Pad allows your Galaxy Note5, S6 Edge+, S6 or S6 Edge to charge wirelessly via electromagnetic field and inductive coupling that send an energy charge from the charging pad to your phone. This makes for a beautiful space saving way to charge your phone at your desk, office or at home. 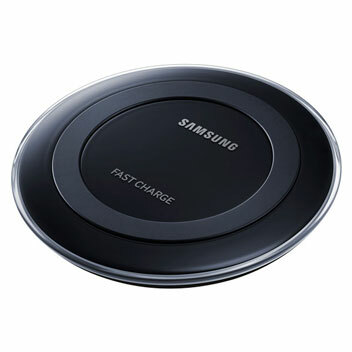 The Samsung Qi Wireless Charger automatic shut off feature prevents your smartphone from continuing to charge once the battery is full, providing a smarter, more efficient charging solution over traditional mains chargers. The Samsung Wireless Charging Pad is a perfect fit with any wireless charging handset. 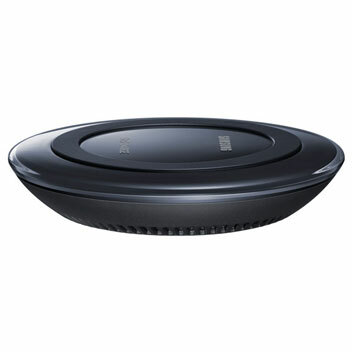 Quick and simple to use, this official wireless charger also features an ambient LED display, which indicates your phone's charging status by glowing blue when charging and glowing green when the battery is full. 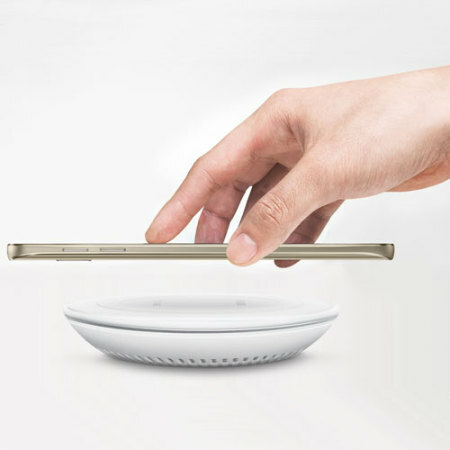 So in an instant you can know when your phone is fully charged, just by looking at it. Please Note - This Official Samsung Wireless Charge Pad does not include a mains plug. 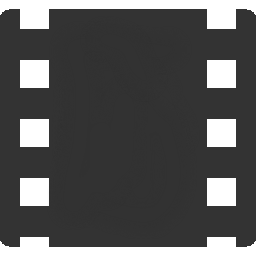 In order to plug this device into a mains socket, a USB plug must be purchased separately.